We excited to announce some key improvements to our “web app,” the version of our app viewable on any computer browser (like Explorer, Firefox, or Chrome). We’ve increased the presence of your brand, and made a ton of changes to improve the overall reading experience. 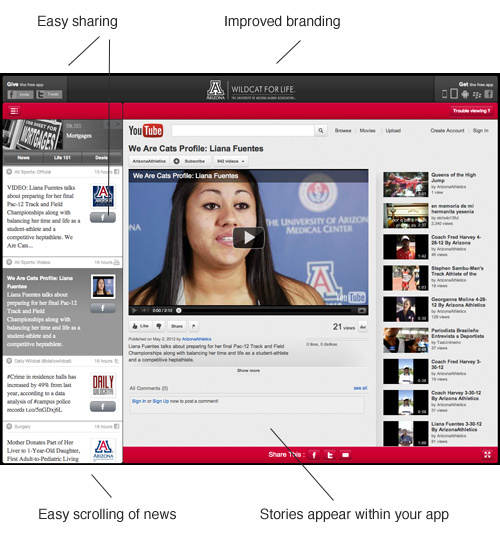 And just like on iPhone, iPad, Android, and BlackBerry, users can personalize their news feed. We think they’ve love it, and use it. So, why have we put so much effort into this version of Crib Sheet which isn’t used on a mobile device? Your alumni and members still use computers… for lots of hours. We want your news to be easily accessible your users spend their online hours. 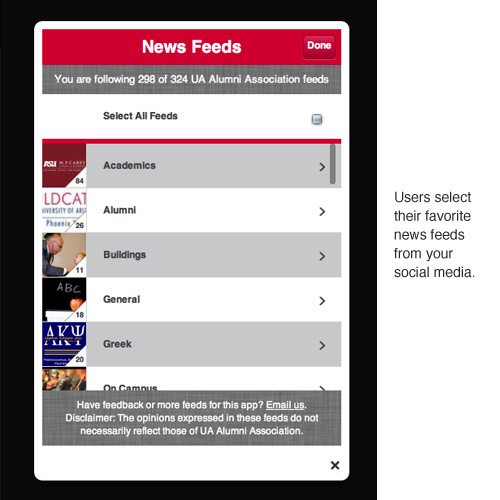 We see the web app as something that your alumni will use frequently (some as their home page) to keep up with your latest news. When someone wants to read about an event at Malone University or a score for BU hockey, they often search in Google. Why not send this interest your way? Some of these searches will send your alumni to your branded desktop app where they’ll read more news, download the app to their mobile device, and become more engaged with you. Our new web app is now easier and more fun to use. We think this platform will be a go-to source for your institution’s news and life 101 tips for many of your alumni sit in front of a computer all day. This update is live for all of our customers. We hope everyone loves it!